The Warehouse Arts District's ArtsXchange credits their support for the area's burgeoning art growth. If you spend more than a minute around the St. Petersburg arts scene, odds are you know Katee Tully and her wife Helen Levine. 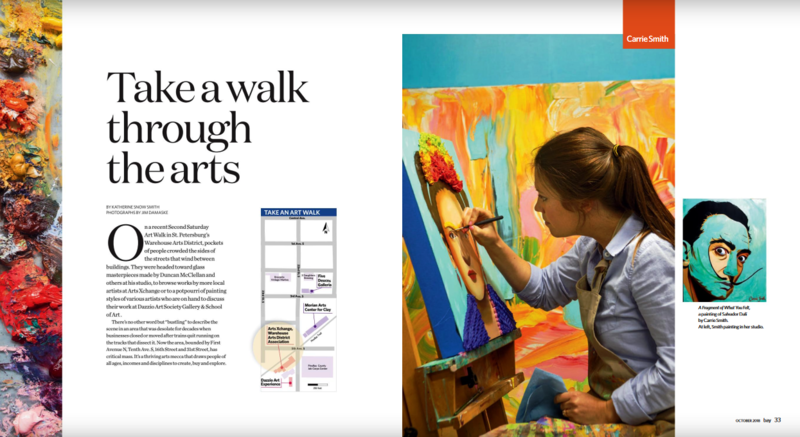 They're local arts champions — and Tully's an artist herself. On Thursday, Nov. 8, the Warehouse Arts District Association will dedicate one of its galleries in their honor. Tully is also the former executive director of the Morean Arts Center and her wife, Levine, is the Regional Vice Chancellor of External Affairs at University of South Florida St. Petersburg. "Their support of the ArtsXchange has helped transform the former vacant warehouse space into a thriving arts destination that has contributed to the growth of the city," said WADA Executive Director Diane Morton in a release. On the fringes of the downtown scene — as are several significant cultural spots in St. Petersburg — the Warehouse Arts District's ArtsXchange has six buildings spread over 50,000 square feet. The space offers room for one's muse to work his or her magic and has not quite 30 artists working there, including Mark Aeling, who's currently working on a massive art installation for the new St. Petersburg Police Department building. In addition, the main gallery hosts exhibits from across the United States. Future plans include adding a dance studio, more classrooms and — of course — a coffee shop, restaurant, and an educational microbrewery. Tully-Levine Gallery Dedication | ArtsXchange, 515 22nd St. S., St. Petersburg | Nov. 8: 5:30-7 p.m.
Rise St Pete is a 501(c)(3) non-profit governed by a Board of Directors. For those of us that remember 9/11, we knew the course of our nations' history change irreparably that day, and we still carry that feeling we had inside us. 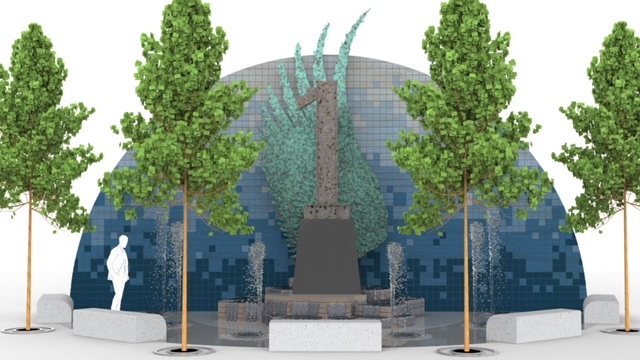 However, America's future generations, our children and grandchildren do not know the impact of that fateful day, and we hope that Rise St. Pete will become a moving vehicle to teach them. To donate, please visit risestpete.org. 'El Sueño Americano' runs through November 5 in the Warehouse Arts District by Cathy Salustri. SWEET DREAMS: Tom Kiefer’s 'El Sueño Americano' — translated, The American Dream — paints a darker dream. If you see one art show this year — or in your life — you need to see Tom Kiefer’s El Sueño Americano at the ArtsXchange. America’s immigration narrative, shaped by years of Americans telling themselves the story of their existence, revolves around the pursuit of the American Dream. Historian James Truslow Adams defined this American trope as “that dream of a land in which life should be better and richer and fuller for every man, with opportunity for each according to his ability or achievement.” Before the United States enacted its first immigration law — the 1870 Page act — most Americans arrived as immigrants. As generations drifted further and further away from their homeland, ideas — and laws — about immigration changed. Let’s gently wade backward, before the past two years of presidential narratives about walls, rapists and criminals; El Sueño Americano predates the narrative, and it predates President Barack Obama, too: In the summer of 2003, Kiefer began working part-time as a janitor at U.S. Customs and Border Patrol in Ajo, Arizona. That’s when he began collecting the images on exhibit at The ArtsXchange. The area under this office’s control encompasses 7,000 square miles. The predominant consideration, then, is to ensure you and your family have enough water. But smaller things get carried, too — rosaries, a small portrait, perhaps, of family left behind. 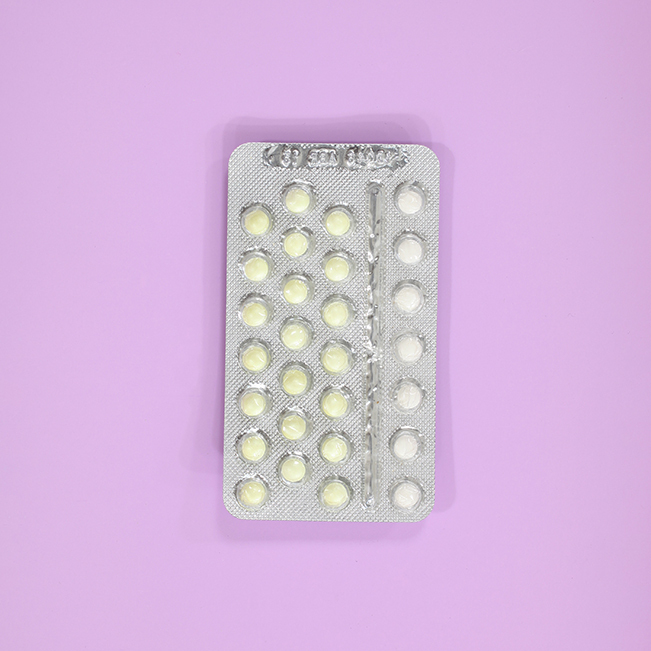 Birth control pills get packed, as do one or two small — quite small — toys for a child. What would you take if you were leaving everything to pursue such a dream? In theory, immigrants will get reunited with these belongings when they’re released or deported. In reality, while working at Ajo, Kiefer found many of these items in the garbage, seized and discarded by border patrol agents. He began photographing what the U.S. government called “non-essential” items: Bars of soap. Collections of rosaries. 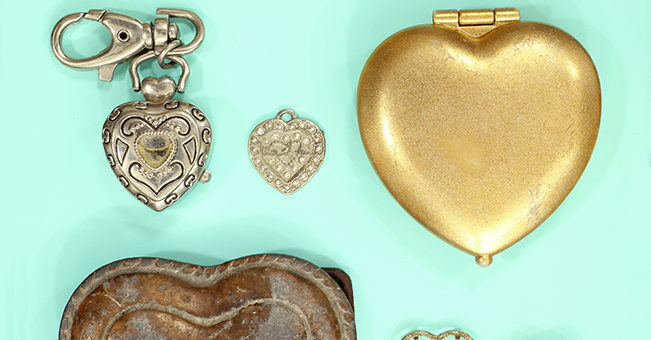 Heart-shaped lockets. Combs. Agents consider combs “potentially lethal,” Kiefer explains, and throw them out. 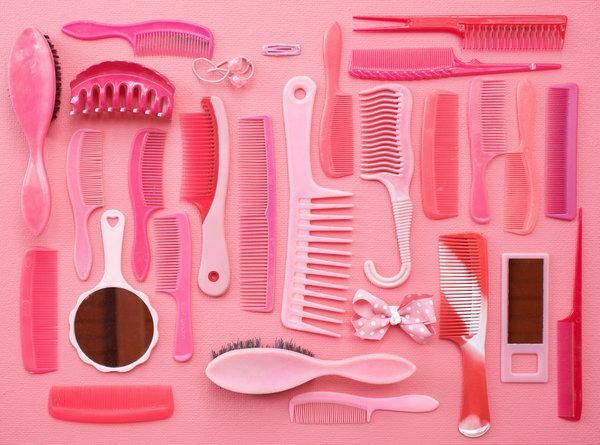 Logical, until your eye catches an image of tiny pink combs, the kind used on baby hair. Toothpaste and toothbrushes could also be used to kill someone and so agents throw them out. No, immigrants do not have access to oral hygiene products while at detention centers, Kiefer says. Wallets. Condoms. New Testaments, one inscribed with the dates where one immigrant had tried — and failed — to become American. Rubber ducks. A tiny pink giraffe. A black-and-white stuffed kitten. Children’s toys. The tiny children’s toys are what broke me, but it’s the gestalt of the exhibit that worked on me until, when my eye caught the small image of a toy that no doubt fit into a child’s grubby palm, I started to cry. This, the Warehouse Art District’s executive director Diane Bailey Morton tells me, is not an unusual reaction. As the ArtsXchange installed the exhibit, people had the same reaction — and they weren’t taking in the cumulative effect. 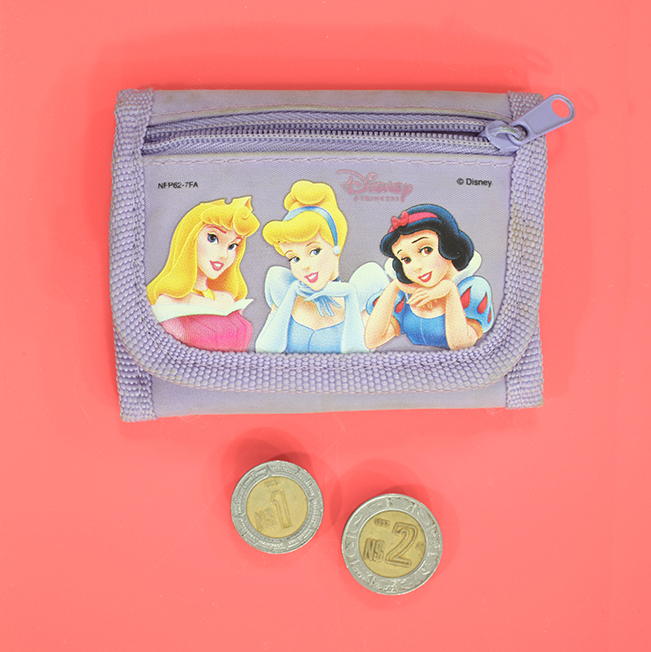 For her, it was the change purse featuring three Disney princesses. “I had one just like it” as a child, she says. I think back to my Raggedy Ann, given to me as a baby. I’ve had her my whole life. Had my family’s immigration come two generations later, I would have brought her with me as my family chased the American Dream. Had a customs agent taken her from me, I would have been inconsolable. A scene from The Goonies comes to mind, the one where Martha Plimpton’s character says the coins in the wishing well are someone else’s dreams and it wouldn’t be right to take them. Kiefer’s compositions — some almost dispassionately mathematical in their mise-en-scène placement — reveal his thoughts on our treatment of these dream-seekers. He would, Morton says, bring detainees cans of tuna fish, with the agents’ blessing. But he couldn’t bring them their most intimate belongings, those chosen from a life left behind to accompany these families on their quest for life, liberty and the pursuit of happiness. So he photographed them instead; he arranged these weathered, water-stained, hard-loved objects on colorful backgrounds, and he let them tell their side of our American Dream narrative. It is not their dream to have, Kiefer’s work seems to tell us. That was our dream. 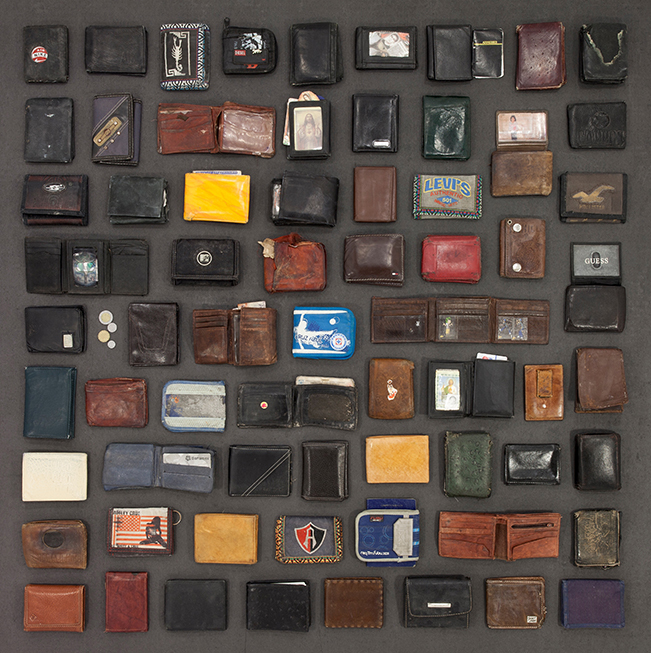 El Sueño Americano (The American Dream) consists of photographs, by former border patrol station janitor Tom Kiefer, of personal items confiscated from men, women and children who were apprehended while attempting to cross from Mexico into Southern Arizona. Over an eight-year period, Kiefer collected hundreds of wallets – some with photo IDs intact – bibles, rosaries, items of clothing, toys, books, blankets, brushes and combs, and less personal items including bars of soap, toothpaste and toothbrushes, along with roll upon roll of toilet paper. Wherever those apprehended wound up, their property was never returned. Ironically, Kiefer had only hired on because he couldn’t make ends meet pursuing his passion – making black and white art photographs of the American urban landscape. He went to work at the Customs and Border Protection center in Why, Ariz. in 2003. “I was already an artist; it could not have been scripted more perfectly,” he says. During those five years, Kiefer stored the found objects in a friend’s garage; he knew the Border Patrol wouldn’t be thrilled if they knew what he was doing. What was he doing? At first, he wasn’t sure. Kiefer began to see the migrant material as silent witnesses to lives irrevocably changed, evidence that American immigration policies were flawed. “This was an object that someone chose to carry with them,” he says. “Of all the things to carry as they risked their lives crossing the desert, this was it. When I first came across a bottle of cologne, I couldn’t believe it. I thought ‘Why in God’s name are they bringing a bottle of cologne?’ I thought it was crazy. He began to arrange and photograph the items, and resigned – “before they could fire me” – in 2015. “My job,” he explains, “is to engage the viewer, and to have them linger and think about what they’re looking at. Although they aren’t part of the St. Petersburg exhibition, Kiefer has recently begun using actual photographs recovered from the dumpster. They’re passport-type photos. It took him a while to add the faces, he says, “because I didn’t know who these people were. I didn’t know if I would somehow be putting their life at risk. Unfortunately, there are no plans for Kiefer to make an appearance at the Arts Xchange. “This is still a self-funded project,” he explains, “but I’m very resolute about it. I could never have planned out my career in this way. The plan was to continue photographing America, using black and white film photography. Kind of in the vein of Walker Evans, who was one of my heroes. ST. PETERSBURG (FOX 13) - In the days after 9/11, the first group of special forces were sent to battle the worst enemy the country had ever know. It was a successful mission, but a covert one, so America would never know. They returned to their lives as if nothing happened. Now they're retired, But these days, the only mission they're working on is 95-proof, and building the American Freedom Distillery, set to open sometime this fall in St. Petersburg. For former Green Beret Scott Neil, this is the very definition of the American Dream. After a lifetime in special operations, he found a place to retire with his family -- a place to start a business with the brothers he risked his life with. "Here are we are 17 years later and a lot of us are retiring and we're returning out of MacDill -- home of Central Command," he explained to FOX 13, "and we were like, 'What are we going to do?' We've spent our whole lives together. Our kids grew up together." He was part of the famous Horse Soldiers, which American has recently learned about their bravery. They were the first wave of Green Berets to go into battle in the weeks after 9/11. Four armies of 12 soldiers who came from the four corners of Afghanistan to defeat an Al Qaeda army of 50-thousand. They were outnumbered, outgunned and on horseback. It battle so unbelievable they wrote a book about it, there's a documentary up for an Emmy next month and it became a feature film starring a big Hollywood hunk. Their story caught the eye of Hollywood producer, Jerry Bruckheimer. The movie, "12 Strong", starring Chris Hemsworth, came out earlier this year. It's flattering, Neil said laughing, but a pretty loose adaptation. "When you have the big Hollywood stars, it's all about one man. It's about the Captain and Mark is very humble. He lives with his family here in Tampa," said Neil. Mark Nutsch, the Commander of Horse Soldiers Special Forces, and Bob Pennington, the Deputy Commander, who is portrayed by actor Michael Shannon, both retired and joined Neil, fellow Special Forces comrades Rob Schaefer and John Koko and their friend Elizabeth Pritchard. Soon after, Tyler Garner came on board. They capitalized on the blockbuster opportunity to launch their brand of Horse Soldier whiskey. "It became so successful, we sold in a month what we thought would take a year. We sold in the second month what we would be two years," Neil went on, "Just like Green Berets, we're behind the scenes -- unknown. You won't see us anywhere and then we launched our brand the same time the movie came out and we're in over 1,300 locations throughout Florida." The civilian world was a foreign one, but they took classes in business, learned about money management and started the paperwork. Now they do it all. They make their own barrels. They make the bottles. The mold for the glass is steel from the World Trade Center. They are distilling and bottling off site right now, but soon they will be making their craft whiskey in the St. Pete location at 5th Avenue South and 22nd Street, n the trendy Warehouse Arts District. "The history of America is bound in whiskey," said Neil, "From the whiskey rebellion to the old west, whiskey is very pioneering. Just having a glass means victory." The group traveled the world together learning to make the world's finest whiskey. "What we wanted to do was show people what we learned in Scotland in their tasting rooms at Glenfiddich and Glenmorangie, what we learned in Ireland," Neil explained. There will be a restaurant on property, in addition to the distillery, and right in the middle will be two 12-foot log tables that will seat 150 people. A retail shop will sit adjacent. "We have our own private bar, and that's the only place you will see things from our past. Our brand is about what we're doing today," he said. "Now we make whisky, not war." Tom Kiefer is a photographic artist who was working as a Customs and Border Patrol (CBP) janitor to pay his bills. His latest exhibit, “El Sueño Americano,” depicts the choices undocumented migrants make when packing their most valuable items to journey across the border. “El Sueño Americano” (The American Dream) will have its Florida debut at the ArtsXchange in the Warehouse Arts District. The gallery will be on view from October 8 through November 5. Gallery hours are 10am-5pm, Thursday through Saturday. What inspired “El Sueño Americano? Tom Kiefer’s photographic exhibit “El Sueño Americano” (The American Dream) is a visually stunning and powerful photographic art exhibit. The exhibit contemplates the human experience.